Mix all ingredients in a large bowl, except for coconut oil, and stir thoroughly until mixed. 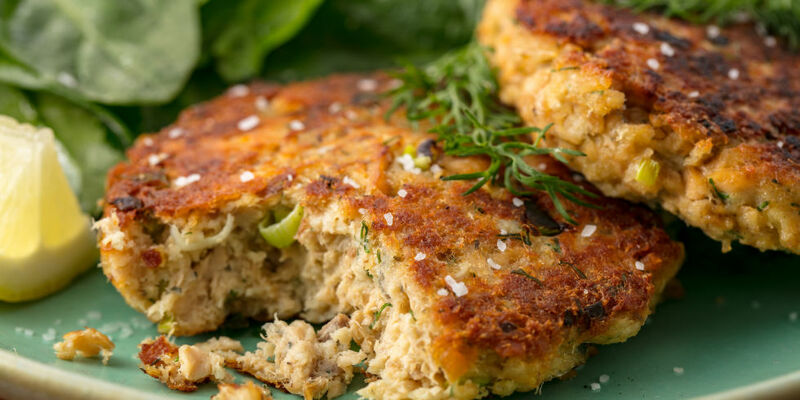 While the skillet & oil are heating, form salmon cake mixture into cakes and place in skillet (with lid…I’ve found trapping the moisture with the lid on helps them stay together & cook well) and cook until golden brown on each side. P.S…I usually double the recipe so I have some for the next couple of days! P.P.P.S…I am not a tartar sauce fan…But if you enjoy it 2 options…1) Buy an organic version and use portion control…track it! 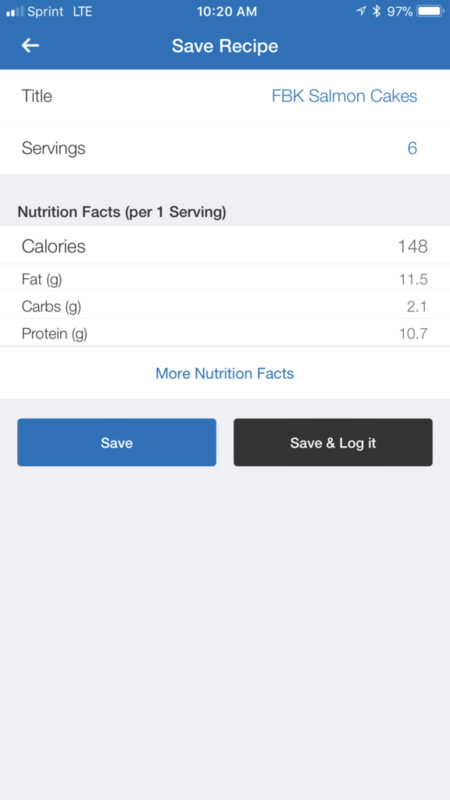 2) Make your own and use greek yogurt instead of mayo and use portion control…track it!